A Target gift card is like gold for some people. If you have one you don’t want, though, it’s smart to look into selling it. While many people don’t realize they can sell a Target gift card, this practice has become more and more popular in recent years, and it’s one of the main reasons that people dispose of unwanted gift cards in this day and age. If you’re interested in selling your gift card, but you’re not sure where to start, this article is for you. 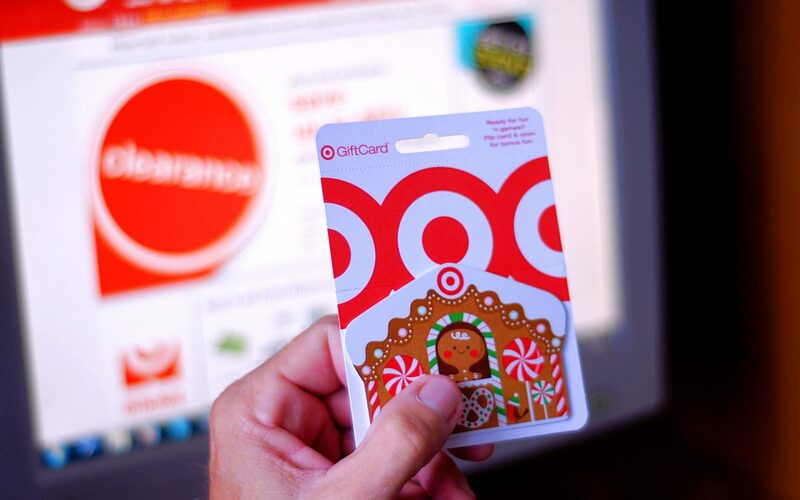 Within recent years, Target has started offering a gift card exchange in its stores. In addition to allowing you to exchange unwanted gift cards from other retailers, such as Walmart, this gift card exchange may allow you to swap your gift card for cash. Keep in mind that every location offers slightly different exchange rates and trade-in options, but it’s worth heading to your local Target to see what they offer. Convenient, simple, and fast, this gift card exchange option is a great way to either trade your Target card for a different store card, or get some cash in hand to spend however you’d like! eBay can be a hotbed for gift card sales, especially around the holidays. If you’d like to get rid of your gift card, this is a good place to look. There are a few things to be cautious about, though. First, you likely won’t get the full face value for your card, especially if you list it in an auction-style sale. Secondly, you’ll be responsible for shipping, mailing, and tracking the gift card, which is more trouble than many people want to deal with. There’s also a slight chance that scammers will take advantage of the sale and that you won’t get paid for your gift card transaction, although most transactions on the site are protected by eBay’s seller protection policies. If you’re willing to contend with eBay’s slight difficulties, it can be a great place to sell gift cards and get the most possible value for your card. It’s easy to sell a Target gift card locally, especially if you know someone who loves the store. Consider making flyers for your gift card and hanging them around town. If this isn’t your style, you can always list the card on a site like Craigslist or OfferUp. While it takes a bit of legwork to sell gift cards this way, it can be a nice option for people who prefer to get rid of them locally. If you’re not set on selling your card, consider keeping it instead and using it to buy things you need and want from Target. The store sells virtually everything, and a Target gift card can be used to buy cleaning supplies, simple groceries, clothing for kids, and much, much more. Ideal for anyone who either can’t sell the gift card through methods they’ve tried before, or who wants to avoid the legwork involved with selling the card on their own, this option is simple and straightforward. ejGiftCards.com is an online gift card seller that specializes in taking unwanted gift cards off of our customer’s hands. Equipped with a simple, streamlined offer platform, all you need to do to sell a Target gift card with us is input your card’s information, including face value and pin number, see your instant offer, and accept it. Verify your identity and we’ll deposit money into your PayPal account almost instantly. It’s that simple! Ideal for anyone who doesn’t want to bother with the muss and fuss of selling gift cards on their own, this is a simple and streamlined option that can work wonders for your sanity and peace of mind. Online forums are an unexpected but effective way to sell gift cards. While they require a bit of work from the seller, they can work in a pinch and many people turn to them before they know about the better options available to them. If you’re looking for ways to sell a Target gift card, these six smart options are a good place to start. Simple, convenient, and straightforward, they’re designed to help you get rid of the cards you no longer want without a headache.